The piano man taps out a peppy piano tune on the old ivories in the corner of the saloon. A group of gruff looking cowboys are playing a high stakes game of liar’s dice with stern looks in their eyes. The tension that filled the air could’ve been cut with a Bowie knife, but suddenly, the saloon doors burst open and a señorita slowly strolls through a crowd of stunned cowpokes. She shoots the piano-man a molten glance as fiery as the surface of the sun itself. A bead of sweat drips down the side of his face as he gives a nod to the señorita and his fingers find the notes to a spicy Flamenco tune. The señorita begins to twirl and dance in flowing motions, each move more graceful than the last. Her hands move swiftly and her feet carry her across the open floor as the piano notes become more intense. Her movements become so fierce, that at any moment any onlooker would swear that her skirt could burst into flames! The cowboys in the saloon sit in silence, unable to comprehend the dance unfolding before their very eyes. Then, the notes abruptly come to a halt and the señorita calmly walks out the door. In a daze, the cowboys forget about their games and give each other a blank stare as if they had each been defeated in a high noon duel! Not all western heroes carry six-shooters and not all stories are won through confrontation! Do you wish to be that señorita? 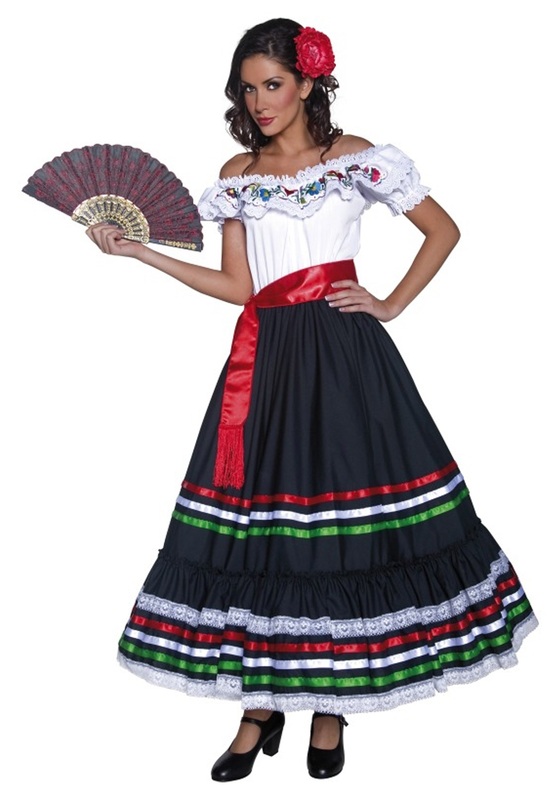 Well, then this authentic Western Señorita costume should have you all set. 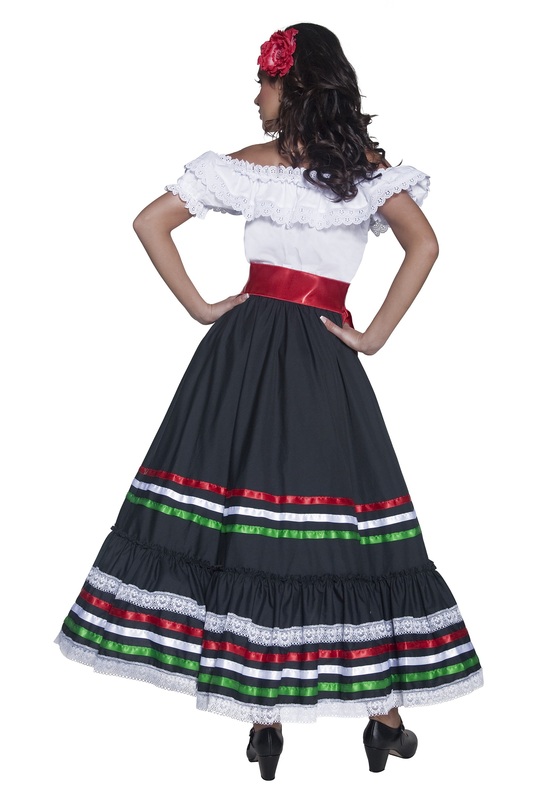 It comes with a vibrant dress and a fiery red sash to wear as you win the Wild West in your own way.